Organic. Locally-sourced. Free of pesticides and genetically modified organisms. These are often the things that consumers are concerned about when it comes to their fruits and vegetables. Just a few weeks ago, Chipotle Mexican Grill was the latest restaurant chain to announce that it is steering clear of genetically engineered ingredients in its food. As healthy eating trends sweep across the nation, so few of us stop to think about whose hands picked the food on our tables—much less if these hands are located on the other side of the border. While the U.S. government has strict food quality standards in place, little regard is paid to the people who get that food from point A to B. In response to consumer pressure for increased transparency, accountability, and goodwill, many U.S.-based food companies enacted corporate social-responsibility initiatives related to the well-being of farmworkers, including the International Produce Alliance to Promote Responsible Industry. However, the fight for workplace rights and fair working conditions for farmworkers is far from over. Imagine only earning $8-10 for a full 10-hour day’s worth of work, if you’re lucky enough to be paid in the first place. Agribusiness, distributors, and retailers continue to grow wealthy as thousands of indigenous people are exploited, particularly from the regions of Huasteca, Oaxaca, and Guerrero. The Los Angeles Times December 2014 feature “Product of Mexico” provided a devastating look into the squalid and inhumane conditions many Mexican workers endure. Often, these workers face malnourishment, child labor, rodent infested living quarters in labor camps, and in some cases, their wages are arbitrarily withheld. Although they face an uphill battle, farm workers are fighting back. In a historic move, the Alliance of National, State and Municipal Organizations for Social Justice led a strike of fifty thousand farmworkers in March. Their demands were simple—an end to poverty and abuse in Mexico’s produce industry. Most recently, farm workers in the San Quintin Valley of Baja California began fighting for better wages and working conditions. As of May 2015, the farmworkers and the Mexican government have reached a tentative agreement that would raise farmworker pay to almost $13 an hour. While the deal has not been formalized, many speculate that the motivation behind conceding to the farmworker’s demands was the threat of an international boycott of produce from the San Quinten Valley, including the produce crops of U.S. based agribusiness corporations like Driscoll, the world’s largest distributer of berries. We’re more connected and affected by these human rights violations than we realize as sixty-nine percent of the vegetables and thirty-percent of the fruit available in U.S. grocery stores are imported from Mexico. These abuses don’t just happen in Mexico, however; with many finding their way into our own agricultural economy. In 2013, the Coalition of Immokalee Workers advocated for a “Fair Food Program” for Florida’s tomato pickers. Immokalee workers had long been subjected to severely low wages and poor working living conditions. Like the San Quintin Valley farmworkers, a sustained boycott strategy allowed them to accomplish a number of labor reforms. These food chains make our daily nutrition possible and we cannot allow ourselves to continue to sit idly by and avert our eyes from the abuses that surround us. We can, and should, demand that retailers in the U.S. hold agribusiness companies accountable for the welfare of their farmworkers by signing petitions, such as the one created by the United Farm Workers. The issue of farm worker rights touches everyone, and it is up to us to make sure it is given the attention it desperately needs. Veronica Bonilla is a Policy and Legislation Fellow at the League of United Latin American Citizens in Washington, DC. Deeply interested in the intersection of communication, politics, and public policy, she is currently pursuing her MA in Political Communication at American University. Veronica also possesses a background in IT governance policy, capital planning and investment control, and technical writing. She received a BS in Marketing from Virginia Tech and is fluent in Spanish. 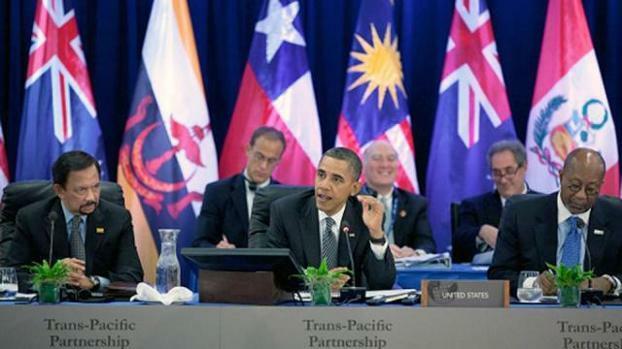 LULAC and Trade: What is the Trans-Pacific Partnership? As one of the 21st century’s most comprehensive international free trade pacts, understanding the Trans-Pacific Partnership (TPP) is critical to understanding how the global economy affects your community, bank account, and job. Unfortunately, we don’t have much to work with. Of writing, only members of Congress, the President, the Trade Ambassador, and representatives of many American companies are allowed to see it entirely –and under tight security at that. What’s more, they are forbidden from speaking publicly about the TPP’s specifics. According to a brief public outline the TPP would, if passed by every party country, mandate universal trade standards and reduce tariffs (taxes) on imports and exports. Businesses see free trade deals as an opportunity to lower costs throughout their supply chain. There are, however, human costs to rapid economic changes –and they affect some people more than others. Transparency issues aside, opposition to the TPP is rooted in this basic fact. As far as labor advocates are concerned, free trade agreements are an excuse for large corporations to skirt laws, shed workers, and skip taxes. Environmentalists fear that issues like overfishing, logging, and poaching aren’t sufficiently discouraged. When it’s all said and done, these groups recognize that people’s livelihoods will be affected. Trade is important for any nation to thrive. So important, in fact, that the only nation that claims to be completely self-sufficient is the hermit kingdom of North Korea. Such an extreme is, no doubt, not a sustainable growth model. As an organization of action, LULAC believes that the best trade system is one that is clear, deliberate, and equitable. That said, we strongly support public scrutiny of not just the TPP, but US trade policy in general – for the benefit of all people. Tyler Crowe is a Policy and Legislation Fellow at the League of United Latin American Citizens in Washington, D.C. He specializes in issues related to the economy, resources, and good governance. He received a BA in Chinese Language and Culture and a Certificate in International Agriculture and Natural Resources from the University of Maryland-College Park.